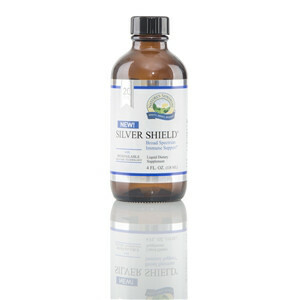 NSP's full line of Silver Shield products offers the immune support benefits of colloidal silver. From February 16-23, you'll save 10-25% on Silver Shield! 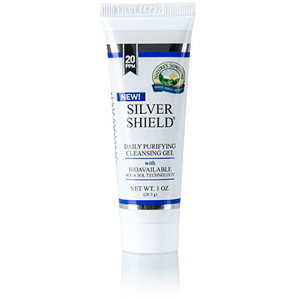 • Silver Shield Daily Purifying and Cleansing Gel helps cleanse, purify and moisturize skin with 20 ppm of bioavailable silver. • Silver Shield Rescue Gel is a water-based hydro gel ideal for topical management of minor cuts, lacerations, abrasions, skin irritations, and first- and second-degree burns. • Silver Shield Liquid (20 ppm) offers broad-spectrum immune support in the form of nano-size particles to ensure bioavailability and potency. Retailers! Practitioners! And all who want to sell more Silver Shield! Sell more product and help more people with this fantastic point-of-purchase display set! Available for a limited time and at a special discount,* you get everything you need to sell more Silver Shield! We'll send you all of the product you need to fill these gorgeous retail displays, plus a terrific assortment of colorful, informative marketing pieces for 10% off the cost of the product! That's right! This week only, February 16-23, save 10% on all of the product AND get TWO point-of-purchase countertop displays with an accompanying marketing kit which includes shelf talkers, posters, info cards and more. *Display set will be available on an ongoing basis, but the 10% discount on products is available February 16-23 only!